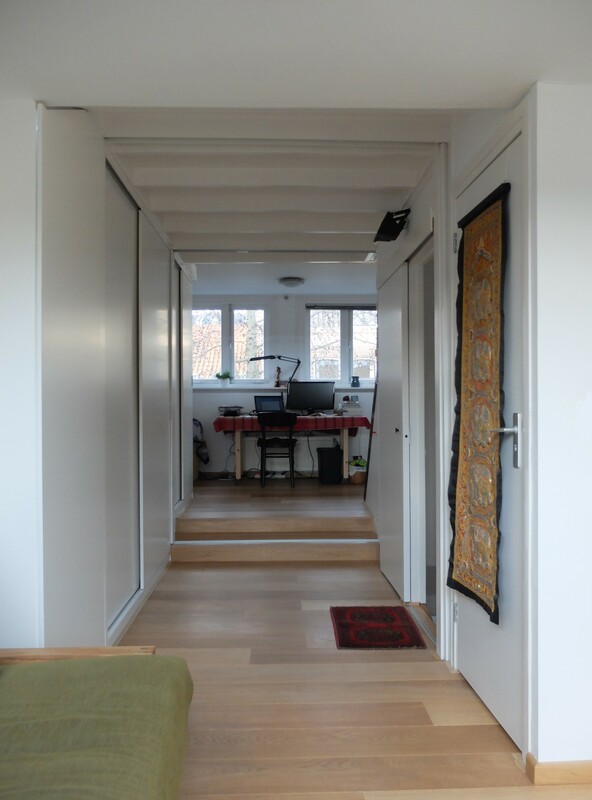 Once considered a home for a whole working class family, we had to get creative with this small house from the end of the 19th century in order to transform it into a contemporary multifunctional pied-à-terre for two. 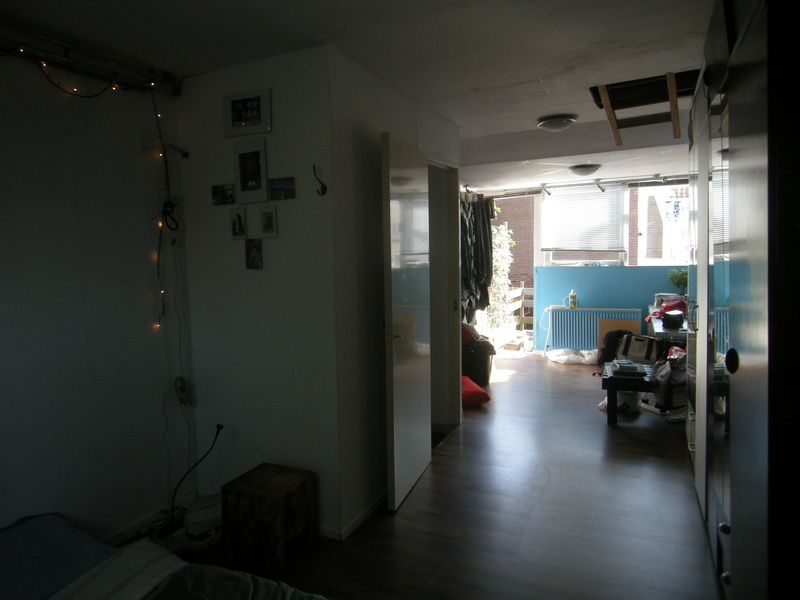 The brief asked for a new hallway and stairs and a bedroom, office, storage, toilet and guestroom on the second floor. Extra space was needed, so first we arranged the building permit for a new, traditionally detailed dormer in the front facade of this little City Monument. We then managed to squeeze in all the program by raising the bedroom up into the nook of the roof. The dormer had to have windows starting high above the gutter which made it possible to raise the floor in the dormer and make a boatlike storage compartment under the office floor. 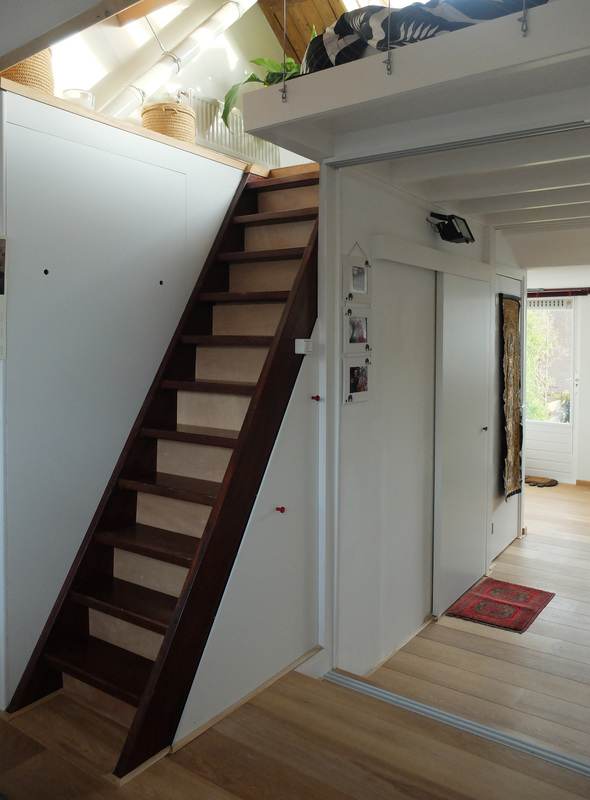 Downstairs, we replaced the old stair with a new, custom designed one which is less steep. 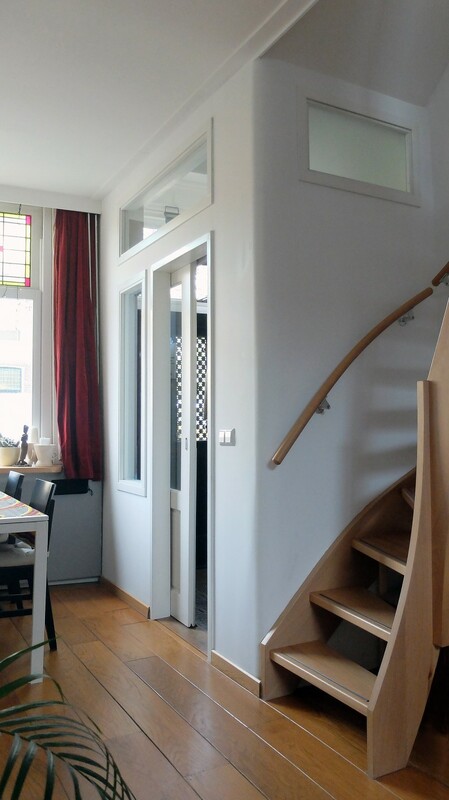 In order to get extra floorspace for the stair and to make the interior appear bigger and lighter, we redesigned the entrancehall and added windows that create a dialogue with the existing stained glass window in the front facade. 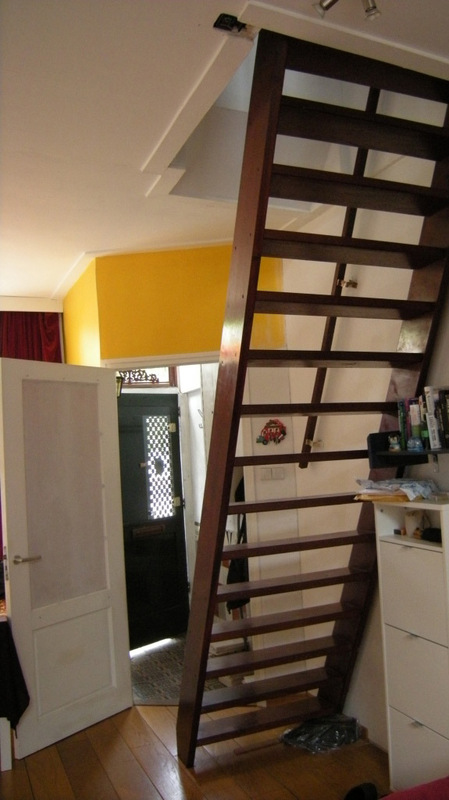 We really liked the old ladder-like stair from the groundfloor so we repositioned it upstairs leading to the sleeping nest. Two big skylights light up this space from the back and emphasize the spatial quality of this small lofty space. The brief asked for a new hallway and stairs and a bedroom, office, storage, extra toilet and guestroom on the second floor. 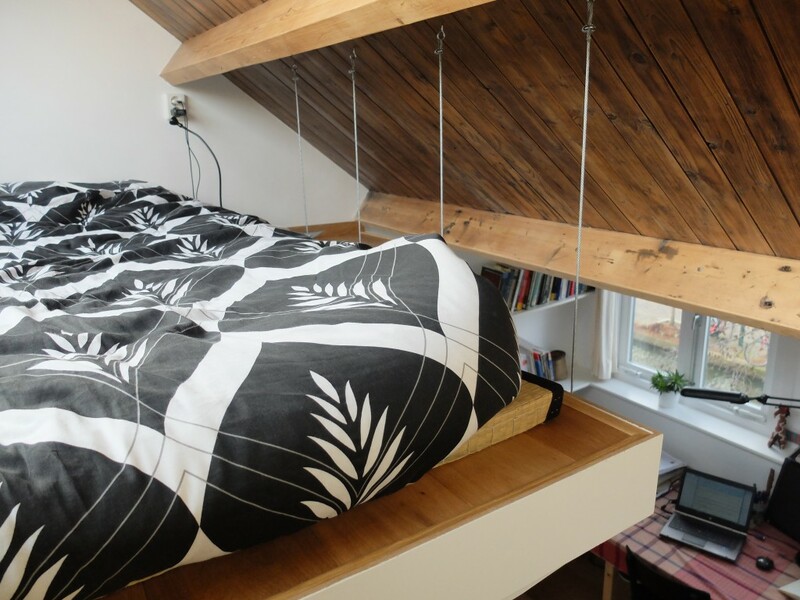 We managed to squeeze it all in by raising the bedroom up into the nook of the roof. Two big skylights light up this space from the back and emphasize the spatial quality of this small lofty space. 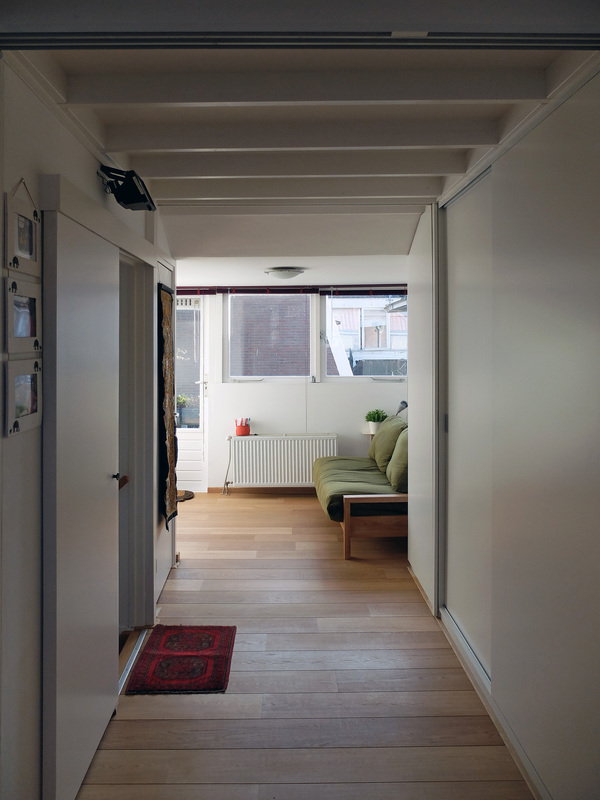 Sliding doors allow for different configurations of the small space. 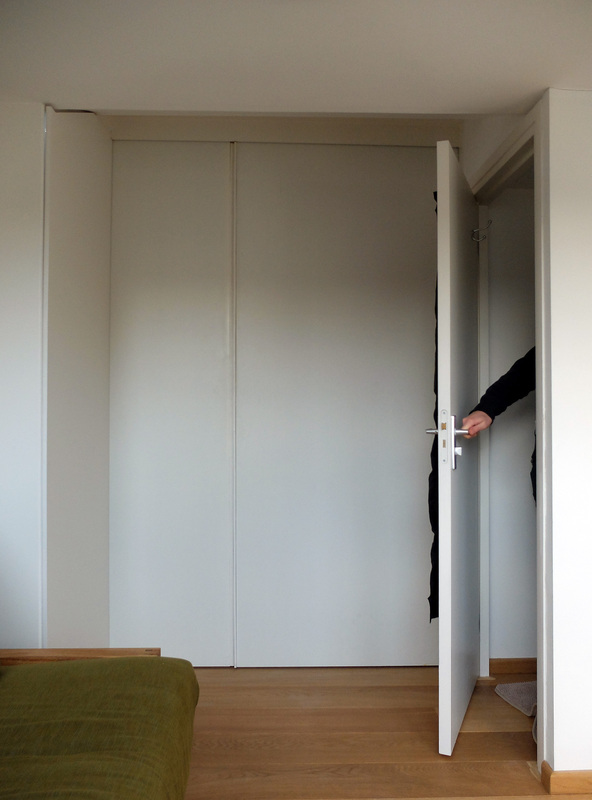 Bedroom and office can become one big space by closing off the sliding doors of the guestroom. 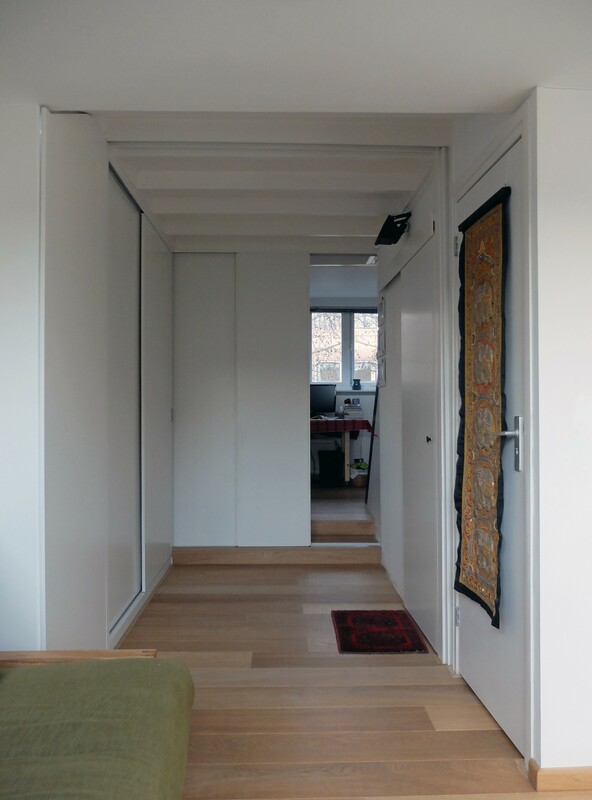 Or the guests can have the bigger part of the floor by sliding out a second door on the first step leading to the office. 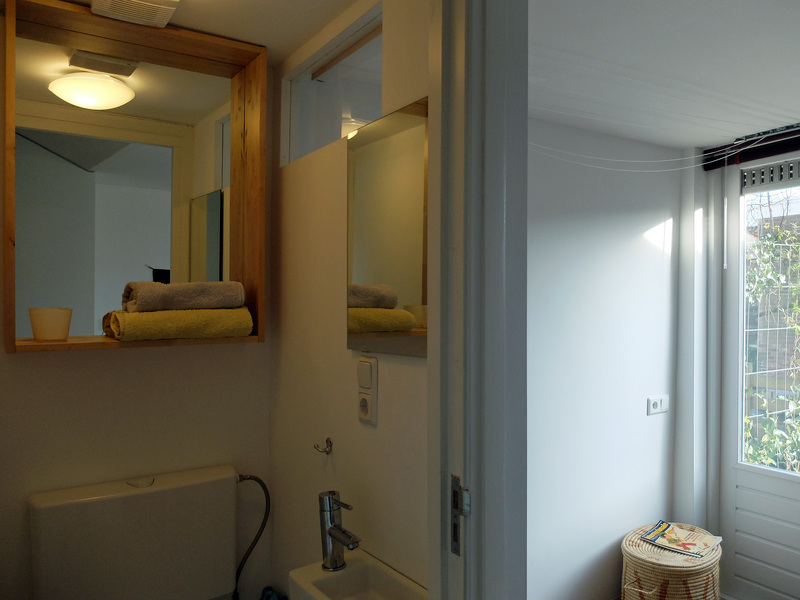 Architectural elements such as the steps, dropped ceiling and the small alcove behind the wall cabinets define different kinds of spaces in the whole, while a small window in the toilet makes it appear bigger by blending in with the mirrors inside. Architectural elements such as the steps, dropped ceiling and the small alcove behind the wall cabinets define different kinds of spaces in the whole.